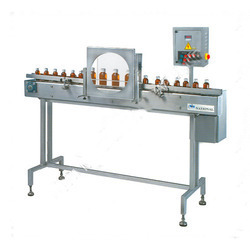 We are readily engaged in delivering Bottling Machines to respectable clients. 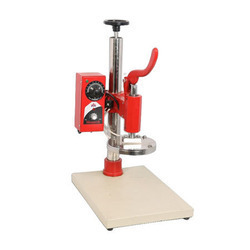 The offered range is made utilizing high grade raw material and innovative technology in complete adherence with the industry laid norms and standards. 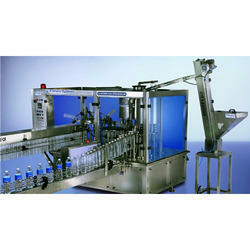 Our assortment comprises Mineral Water Bottling Machines, Turnkey Mineral Water Projects and many more. Along with this, the offered range is known for its optimum performance, sturdy construction, low maintenance, energy efficiency, reliable functions and durable finishing. Overall Dimension: 1820 mm(L) X 750 (W) Approx. Electrical Motor 0.5 HP/440 Volts/3 Phase/50Hz (four wire) For Main Machine. 1 HP/440 Volts/3 Phase/50Hz (Four wire) For Water Pump. We are instrumental in fulfilling the diversified demands of the customers by putting forth an array of Mineral Water Bottling Machine. Specifically for the purification of water, the machine is manufactured using superior-grade components, which are sourced from the reputed vendors of the market.